Premium quality, unrefined flax seed oil is hexane-free. 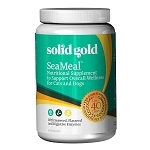 Packed with Omega three fatty acid - excellent for shiny fur and healthy internal organs. Flaxseed oil is rich in Omega 3 and 6 Essential Fatty Acids which are protective against degenerative disease and illness, including bone and joint problems, cancer, cardiovascular, kidney and auto-immune disease. It is also one of the best-known sources of ligans, which are compounds that are thought to have powerful anti-cancer, antifungal and antiviral properties. 100% pure flax seed oil. 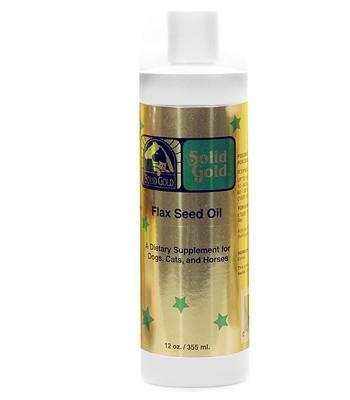 Solid Gold Flax Seed Oil is expeller-pressed to maintain levels of free fatty acids and protective anti-oxidant nutrients. The health benefits of supplementation with flax seed oil for pets are numerous.